The year is 1669. Londoners have survived Civil War, pestilence and plague. The merry monarch has been restored to the throne and theatres are open once more, delivering a wealth of new plays to delight and thrill. Onto these stages has stepped a new brigade of performers, brightly and boldly shining to captivate and entertain. 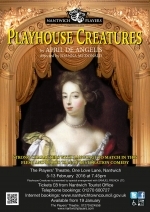 In the unfolding drama, April de Angelis brings a comically earthy glimpse of the arrival of women onto the English stage through five of its most famous early actresses (Nell Gwynn, Elizabeth Farley, Rebecca Marshall, Doll Common and Mary Betterton). Directed by Joanna McDonald, performances will be at 7.45pm on 5 - 13 February, 2016. Auditions will be held at the Theatre at 7.45pm on Tuesday 17th November. Non-members may audition by joining and paying membership on the night. 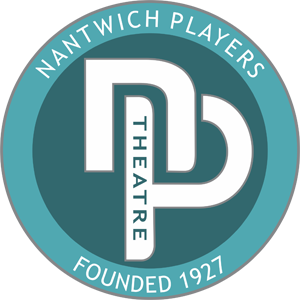 Tickets priced at Â£8.00 will be on sale from Nantwich Tourist Office (01270 600727) or on-line at www.nantwichtowncouncil.gov.uk from 19 January 2016.